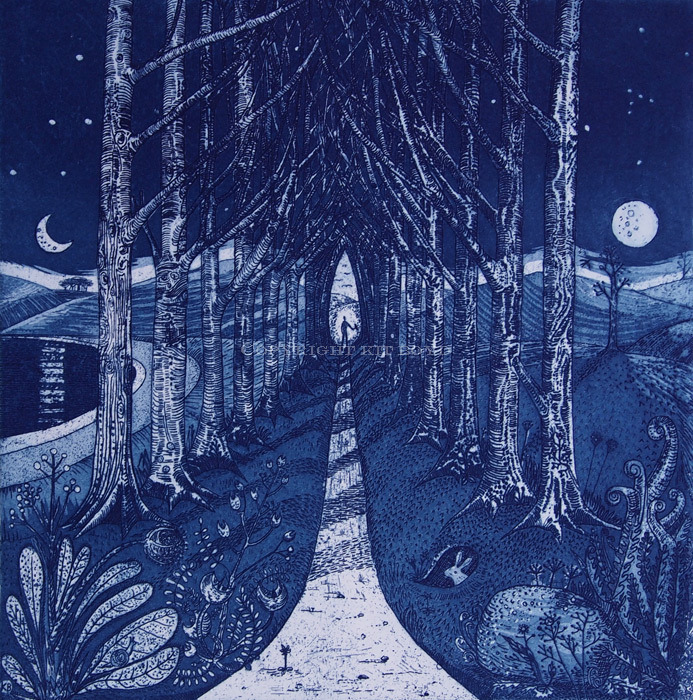 This 2014 version of The Neo-Romantic used the same zinc plate (once the the edition of 50 has been printed), but with an aquatint applied and etched between 10 seconds and 7 minutes. Printed in Prussian blue in an edition of 40 copies on Hahnemuhle paper. A small number of artist proofs available.